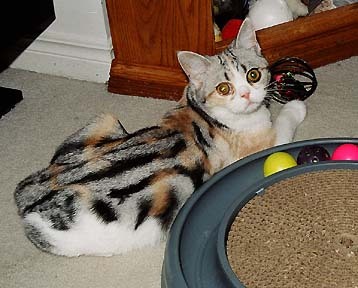 Dyna takes after her mother Patti with her wide eyes, straight ears, and striking classic tabby pattern. Dyna has been best friends with Jimmy ever since the two litters were born just two weeks apart. As childhood friends, they have grown up but remained best buddies.